Achieve the expected Learning Outcomes in PE by challenging Intellectual, emotional and physical abilities of your students. They will experience the thrill of finding their way with a map and a compass, while honing inter-personal skills and developing self-confidence. 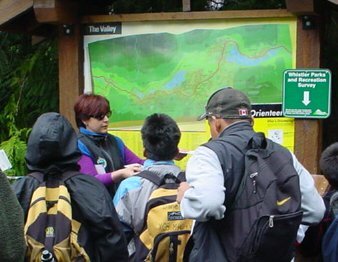 What: Workshops and outdoor educational activities (1 to 4 sessions) with hands-on experience and real Orienteering game. Demonstrate etiquette and fair play. 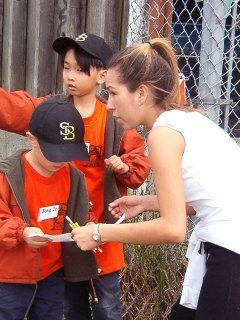 Instructor: Jackie Slavenova has over twenty years of international experience in orienteering instruction, competition and facilitation, and has taught life-saving navigation skills to thousands of students in the Lower Mainland for the last 11 years. 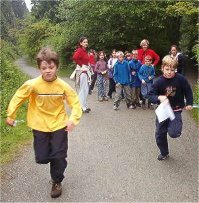 Where: The orienteering workshops, games and activities can be conducted in the classroom, school yard, a local park or neighboring streets. FREE ENTRY to "Adventure Challenge" - weekend events for families combining orienteering & other physical and intellectual challenges. Two hours of exiting outdoor fun game in different parks. Schedule available. Let’s inspire children to love and enjoy Nature with confidence!